Tamil Nadu Uniformed Services Recruitment Board (TNUSRB) Chennai invites online applications from eligible Male, Female and Transgender candidates for direct recruitment for the post of Sub inspector of Police(S) in Taluk , Armed Reserve and Tamil Nadu Special Police – 2019. The applicant must hold a Bachelor’s Degree obtained from Institution / University recognised by University Grants Commission / Government in 10+2+3/4/5 pattern or 10+3+2 pattern in case of Diploma courses. However, candidates who have obtained Bachelor’s degree through Open Universities without going through 10+2+3 pattern will not be eligible. Candidates should have studied Tamil as a subject in X/XI/Degree. If not studied, candidates will have to pass the Tamil Part-ll Test conducted by Tamil Nadu Public Service Commission within 2 years of joining the service. Eligible candidates will have to pay exam fee of 500/-. Departmental candidates appearing for both Open Quota and Departmental Quota Examination will have to pay 1000/- as examination fee. The payment options are both online (Net Banking Credit / Debit Card) and Offline (State Bank of India cash challan ). 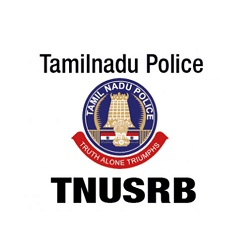 Interested & Eligible candidates invites online applications from TNUSRB Online portal. The online application will be process from 20th March 2019. The last date for submission of online application is 19th April 2019.